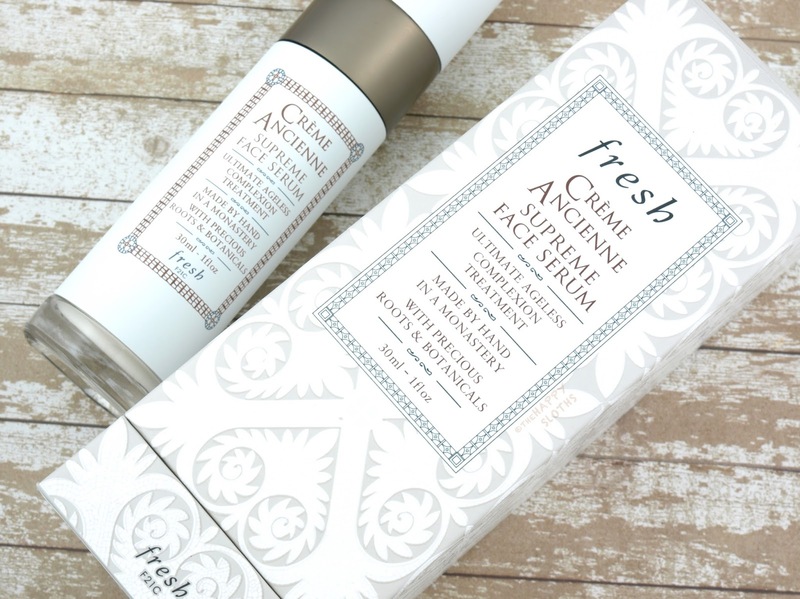 Housed in the most luxurious gift box (one that you would expect for a $300 face cream), the Fresh Crème Ancienne Supreme Face Serum comes in a sturdy glass bottle. The body of the bottle has an opaque, ceramic-like finish that adds an extra touch of elegance but I would have preferred a clear container that showed me exactly how soon I will need to save up $300 to replenish my supply. Handmade by monks in a Czech monastery, the Creme Ancienne Supreme Face Serum is formulated with nine different root extracts, ranging from galanga leaf extract that moisturizes to red ginger root extract that calms and soothes sensitivity. Although its texture is quite runny and thin, the Supreme Face Serum is very hydrating and nourishing. It absorbs very quickly so I have to use at least two and a half pumps to cover my entire face. It leaves behind a glowy natural finish but it's never greasy or heavy. 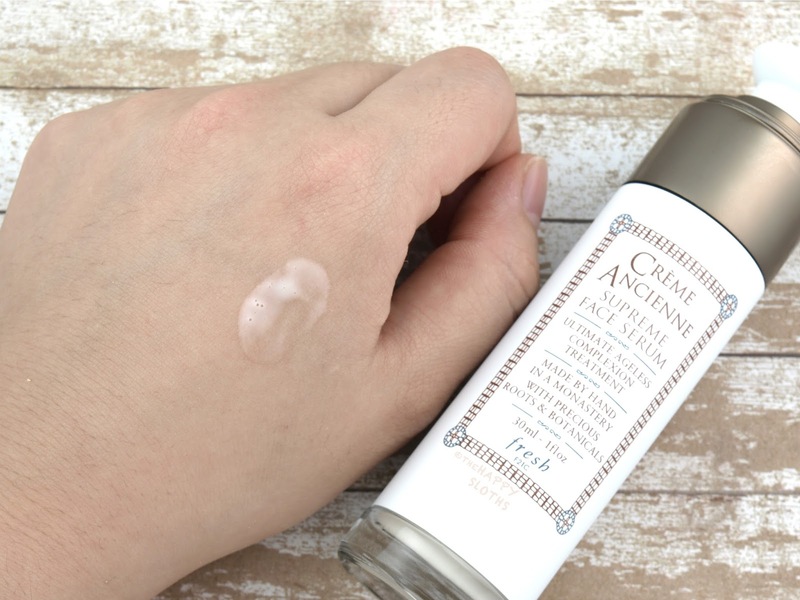 Despite being advertised as a serum, this product is moisturizing enough to be used as a night (or day) cream all by itself. 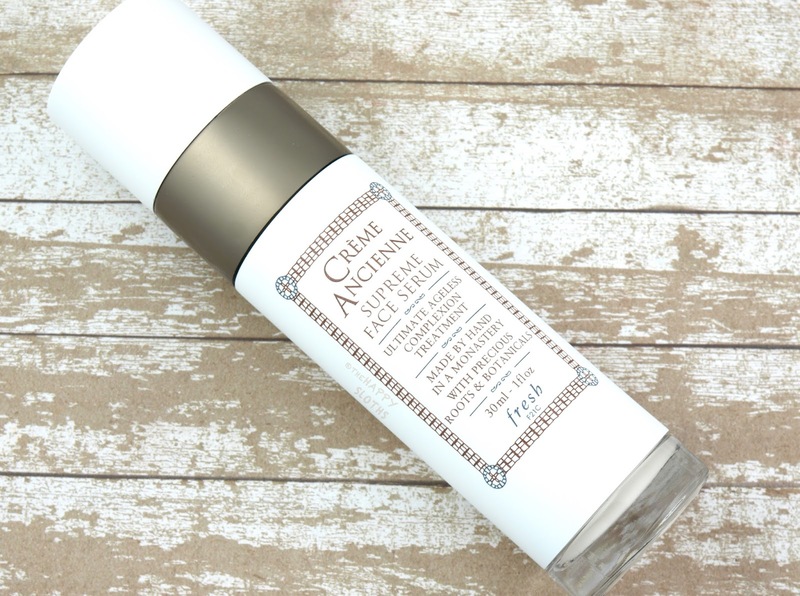 I find that if I use an additional cream on top of the product, my face ends up a bit greasy, which is fine for the night time but for the daytime, the Creme Ancienne by itself will do. After using this for several weeks now, I have to admit that this is an amazing product. Each morning when I wake up, I notice a more radiant complexion that feels super refined and soft. Over the course of the past few weeks, my skin looked and felt better. I don't know if the improvement is fully attributable to this serum, but I have full confidence that this product has been very good to my skin. The $310 pricing is exorbitant without a doubt but out of all the ridiculously-priced skincare products I've tried in the past (ex. Lancome Absolue L'Extrait Ultimate Rose Serum Mask), this is one that's most "worth it" in my opinion.